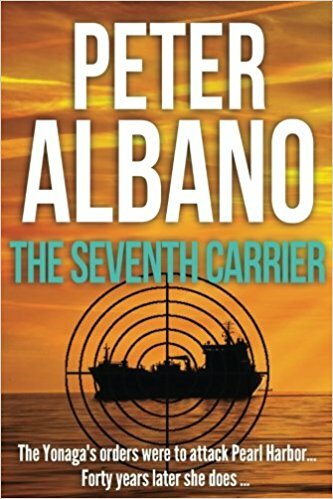 While I was in the Navy i had a series of book call "The Seventh Carrier" by Peter Albano. I was wondering if any of you have seen or read it? Below is a small part of the first book in the series. It is a strange "what if" fictional story, About a Japanese CV left over from WWII, who's crew still thinks the War is on. What do all think of this type of "what if"? It is the first day of December, 1983. Ted ‘Trigger’ Ross is a very long way from his past as a World War II hero, as forty years later he travels aboard the steamer Sparta, through the Bering Sea. Then, as if from nowhere come Japanese aircraft, Zeros, World War II vintage — and nearly four decades after that war ended, they are heading straight for Sparta. As they undertake their strafing run, destroying the blood-soaked Sparta and killing most of her crew, Trigger Ross is hurled out of calm normality and back into the horrors of war. Because for the crew of the carrier Yonaga, World War II has not yet ended. The crew of the carrier Yonaga are samurai, and that means following orders, even to the death. And the crew of the Yonaga have orders to attack Pearl Harbor. Orders that have never been revoked, and which must therefore be carried out. As Ross, a prisoner on board the Yonaga, finds himself carried back towards his homeland, he draws upon all his inner strength and understanding — of Japanese culture, and of warfare — in a desperate bid to avert disaster. Meanwhile the American authorities, baffled by repeated reports of ships attacked by Zeros, search for answers. Brent Ross, Trigger’s son, believes his father lost at sea. Having heard tales of Japanese ‘holdouts’ many years after World War II, Brent suspects that something similar may be afoot. Brent is right. But how long will it take his superiors to realise that? As the Americans seek answers, and Brent seeks support for his theory, the Yonaga travels on, relentlessly, getting ever closer to Pearl Harbor. The original attack on Pearl Harbor was made by six Japanese carriers: now the seventh is on her way. And the Americans, for whom World War II ended almost forty years previously, are completely unprepared for any attack. Will the Yonaga reach her destination? And if she does — what then? Peter Albano (1922-2006) was a US writer who served in the US Navy 1942-1946; he is known mainly for the nine-book Seventh Carrier sequence of military adventures staring the World War Two Japanese aircraft carrier Yonaga.
" My dear guests! I am Mr. Roarke, your host. Welcome to Fantasy Island! " Yes, I read it several decades ago. Another good book about displaced in time warships, book one in a three book series, is Weapons of Choice by John Birmingham. Thousands died in the chaos, but the ripples had only begun. For these veterans of Pearl Harbor—led by Admirals Nimitz, Halsey, and Spruance—have never seen a helicopter, or a satellite link, or a nuclear weapon. And they’ve never encountered an African American colonel or a British naval commander who was a woman and half-Pakistani. 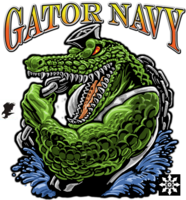 While they embrace the armada’s awesome firepower, they may find the twenty-first century sailors themselves far from acceptable. What happens next is anybody’s guess—and everybody’s nightmare. There lots of good reading in this book and not just the battle scenes. As stated above, the 1942 folks don't like seeing a future with non-white people in command positions and the modern folks, because of the 1942 folks racism and bigotry, are wondering if the 1942 folks deserve saving. The modern battle group also brought with them thousands of movies and lots of music which leads to problems which you'll just have to read about. Will have to look this up. I'm a sucker for alternate history and History based Fiction. Think I've read just about everything from Harry Turtledove. He wrote a book where guys from the future come back and give Robert E. Lee and the south AK-47's. Another where just as America is thinking about entering the war, Space Lizards attack and everyone has to join forces. One of his last series Goes from the Civil War where Barton W. Mitchell doesn't find the Confederate battle plan for the Antietam Campaign wrapped around three cigars, and goes all the way to WWI and WWII with the US divided into the CSA and USA. Each side joining differing factions throughout the course of the wars. Never heard of this but thanks for the recommendation, i'll have to look it up as well. Well if I remember right (I have not read it since the early 90s) the CV was trapped in a Glacier/Ice Flow up near Alaska. But the crew would raid local fishing boats and merchant ships for Fuel/Food/Supplies using the CV's small boats and other boat that they captured - think a whole crew of Hiroo Onoda hold outs. It was a very good series of books, BUT you have to remember it was written in the 80s so it is a little out of date. A series of Alternate History novels written by Peter Albano. The basic (and formulaic: the structure stays much the same from book to book) plot has a fictional fourth ship of the Yamato class, the Yonaga, being trapped in ice just before it's supposed to join the Pearl Harbor strike force in 1941. Forty-two years later, the crew finally manages to break out of the icy trap, and sails forth to complete its mission. At the same time, China launches a satellite system designed to disable jet and rocket engines worldwide. One thing leads to another, and Yonaga and her crew of geriatric latter-day samurai become the Free World's first line of defense against an Arab/Muslim alliance led by Libya. No worries, I love reading older books, especially classic novels. This does sound really interesting so i'll have to read it after I finish reading Neptune's Inferno. Yeah I need to find it again. Big Thank You. I just gotta get the book. I have read the first book, really want to find the rest.. did it for a book report which was fun. I really need to read the rest of the books.